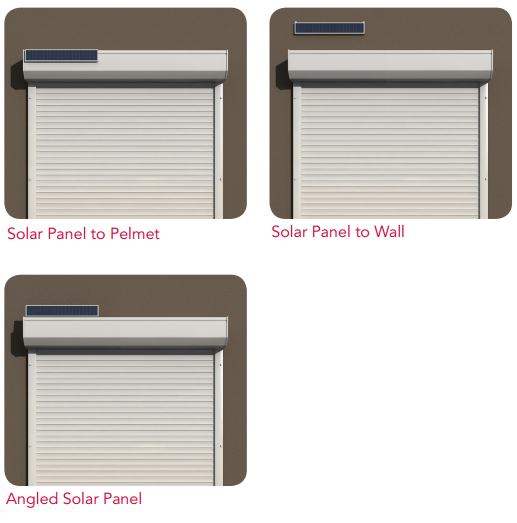 SolarSmart - A Greener Way to Automate Your Canberra Roller Shutters! Where innovative design meets an eco-friendly approach. SolarSmartTM has been developed by CW Products (Australia’s leading supplier of roller shutters and home automation products), and is the most advanced technology in solar powered roller shutter automation in Canberra and indeed, throughout Australia. 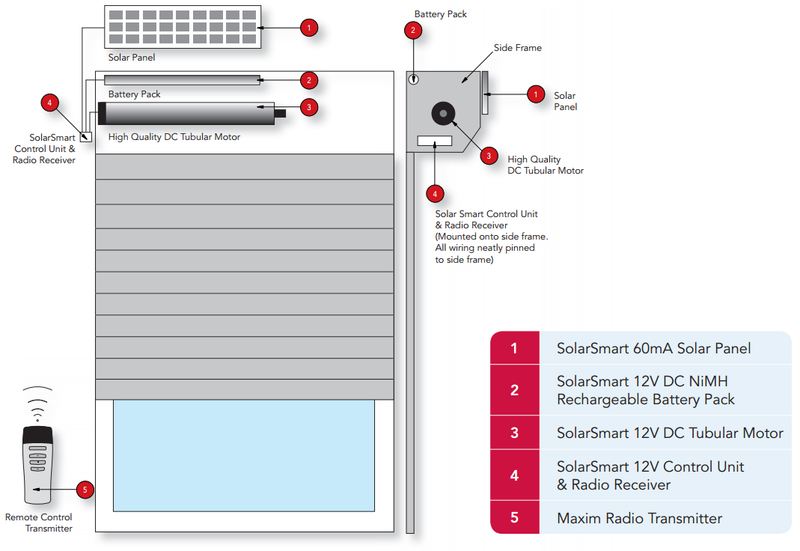 SolarSmartTM is a roller shutter automation system independent of mains power that harnesses the sun’s energy through solar cells positioned on the shutter pelmet or near the shutter. This charges a battery system that in turn supplies power to a DC motor for automation. The SolarSmartTM system utilises the latest in sophisticated electronics to manage the charging of the advanced battery system and is controlled via a specialised wireless remote control transmitter. This all means an easier, more cost effective, environmental and efficient way to operate insulated and other types of roller shutters, not to mention offering an easier installation process. At CW Products, we’re committed to making life easier for our customers and protecting our Earth! The SolarSmartTM solar panels are an aluminium framed amorphous type, which have excellent power output even in cloudy conditions. However, they must be directly exposed to sunlight in normal sunny conditions. They also have a better power output than most solar panels when affected by heat. North, east and west facing orientations require 1 solar panel. South facing orientations require 2 solar panels for optimum performance. The solar panels are supplied with 2 brackets which allow the panels to be attached flat to the pelmet or wall, or to the required angle to ensure maximum power performance. With all solar panel installations, all wires must be protected from UV radiation and the weather with all drill holes well sealed. For more information on our range of SolarSmart and insulated roller shutters in Canberra and the benefits they offer when it comes to the installations process, call today. Reach us on +61 2 6280 7465.